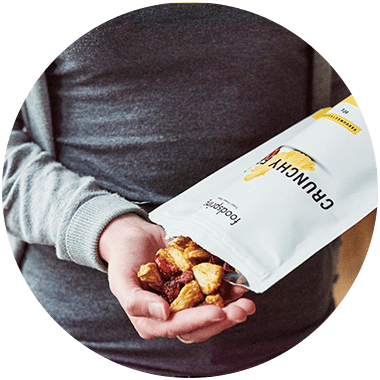 Why eat Crunchy Fruits instead of conventional dried fruits? 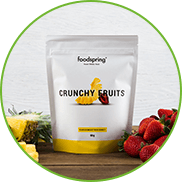 Crunchy Fruits are vacuum processed to seal in valuable nutrients. What’s more, no harmful chemicals are used in the drying process. 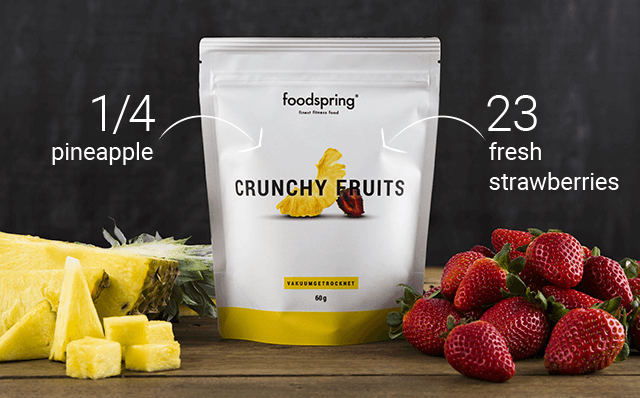 foodspring dried fruits are a pure, natural product. 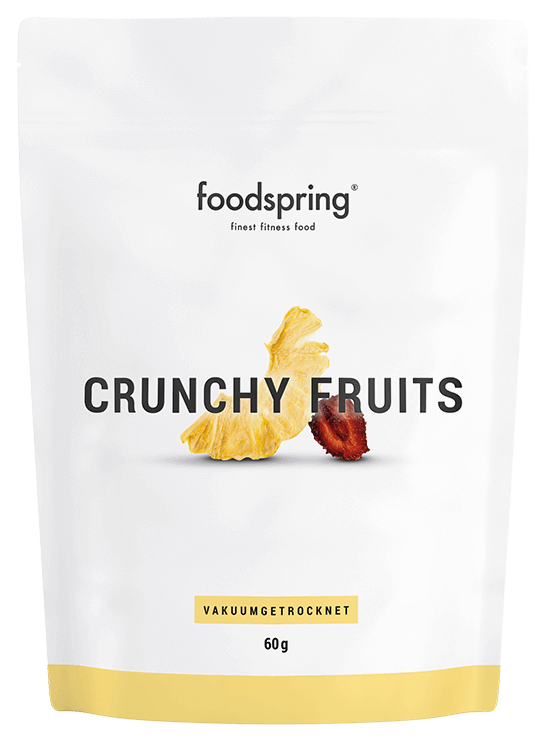 Another advantage: Our dried fruits are not "mushy" like traditional dried fruits, but refreshingly crunchy. Why should I spend that much money on Crunchy Fruits? High quality is really important to us. 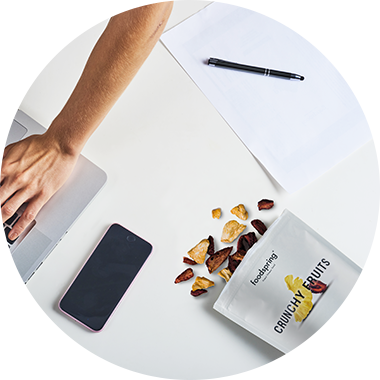 With our Crunchy Fruits we want to set new standards. 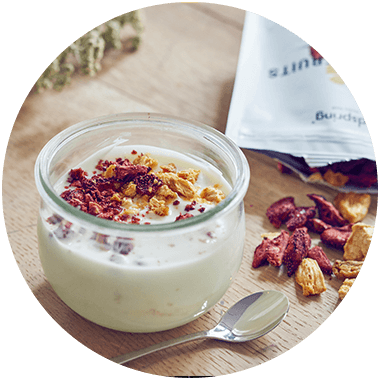 Because of that, we only use selected, raw ingredients and gentle processing to create a delicious product that has no equal. Of course without any artificial additives and sweeteners. Vacuum drying is an extremely gentle production method that preserves nutrients. 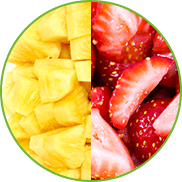 Unlike normal drying methods, our process enables us to retain 70% of the fruit's original nutrients. 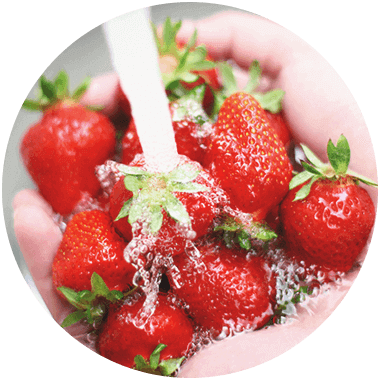 As part of this process, our strawberries and pineapples are harvested, washed and cut by hand. They are pre-dried and then vacuum dried under heat. Why don't you use any additives during this process? This patented production method does not require the use of any additives, such as dyes or preservatives. The product’s most important feature is its 100% natural taste. Why don’t Crunchy Fruits contain any additional sweeteners? 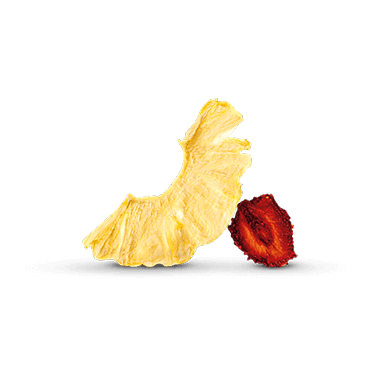 Our special production technique means we are able to conserve the natural sweetness of pineapples and strawberries. 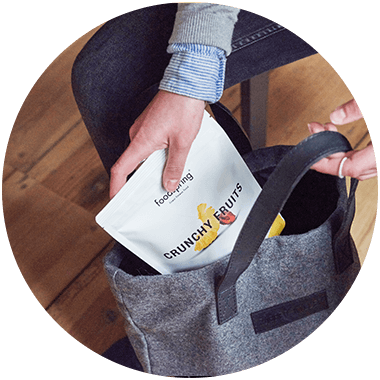 So the product’s sweetness comes exclusively from natural fruit sugar. How many vitamins do the fruits contain after processing? 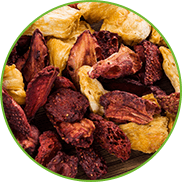 Thanks to the PÄX-vacuum drying process, our dried fruits contain 80% of their original vitamin content, something that cannot be achieved with conventional production techniques.